I am in full party-planning mode. This will be the baby’s first birthday and, as fate would have it, he was born exactly 6 years and 6 days after his sister, so we are having a joint party. Yes, their birthdays are not until April, but it takes planning to pull off a fantastic party, and who am I kidding, I love to plan parties! 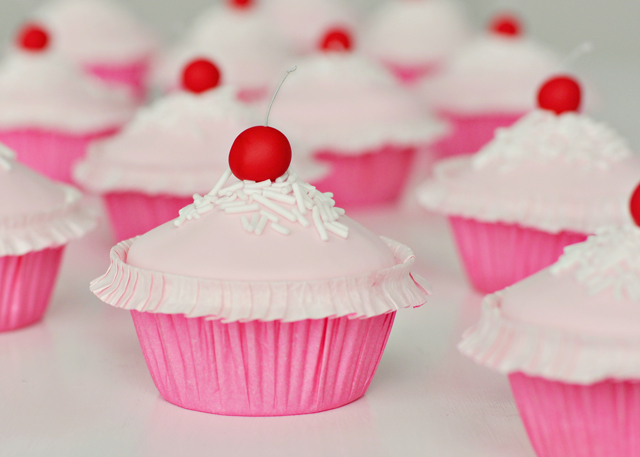 While scouring the web for a chocolate cherry cupcake recipe I came across a wonderful blog, Frosting for the Cause. Every day throughout 2011 they have guest bloggers lined up to post tutorial recipes on what else, fabulous sweets! What makes this blog different is that each blogger shares a story of how cancer has touched the life of a woman they care about. In addition, they will be donating baked goods to a hospice and donating $25 towards research in curing cancers specific to women. While I am not skilled enough to join their baking brigade, this seems like a unique way to help fund cancer research and get some fantastic recipes at the same time. Every recipe I looked at screamed “Make ME!” The recipe for the fantabulicious looking cherry cupcakes is here. Now if I only had Martha Stewart’s kitchen and Hermione’s time turner.